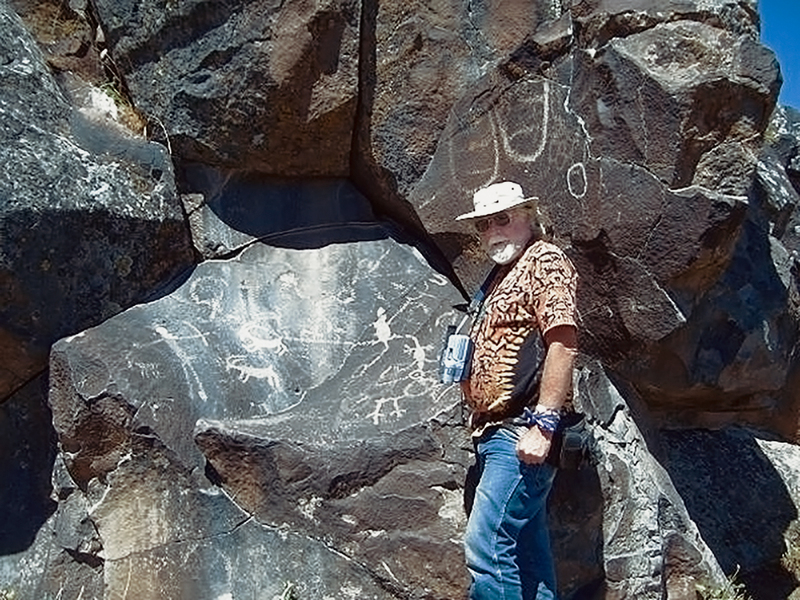 In collaboration with www.oregonrockart.com, this section of the Bradshaw Foundation's American Rock Art Archive covers the work of D. Russel Micnhimer and LeeAnn Johnston who have spent many years exploring the petroglyphs and pictographs that exist in great abundance in much of the Oregon Territory. In fact through their extensive, professional and dedicated research, the Bradshaw Foundation, has created our largest 'thumbnail gallery with enlargements' to date with over 100 photographs, thus providing an invaluable resource and hopefully a unique insight into the rock art of the American northwest. Quite rightly, Micnhimer and Johnston feel that this resource of knowledge is one of the greatest tools of preservation. For purposes of exploring rock art in the Oregon Territory it is convenient to divide it into four basic areas: the Pacific Coast Area (page 2), the Klamath River Area (page 2), the Columbia River Drainage Area (page 3), and the Great Basin Area (page 4). These are related to the water features in the region, and as with any arbitrary division of land areas, there are places where there is some overlap. Avocational archaeologists D. Russel Micnhimer and LeeAnn Johnston are a decade into an ongoing project to digitally photograph rock art in the Oregon Territory. The Oregon Territory was originally organized in 1848 and included the entire U.S. States of Oregon, Washington and Idaho and small areas of western Montana and Wyoming. Located within the area are hundreds of known rock art sites and perhaps as many more whose locations have not been reported. These sites exist on both private and public lands. Most of these have never been scientifically recorded. Micnhimer and Johnston feel that with digital photography these sites can be thoroughly recorded visually, preserving a record of them for future study. And that by sharing that record via the world wide web on the site they built & maintain, www.oregonrockart.com access to the petroicons becomes available to a wide range of researchers. As of 2010 there are approximately 10,000 pictures on the site arranged in about 250 galleries. Johnston has compiled nearly twenty large albums of printed copies of several thousand photographs, matching the images with drawings made by previous researchers where possible. These albums are available on CD. Believing that an educated public is among the best measures that can be taken to protect and preserve rock art, their book, Where to See Rock Art in Washington, Oregon & Idaho is a guide to rock art in publicly accessible places in the area. The site locations are preceded by a general educational discussion of the various aspects of rock art. While professional recording of rock art sites is the ideal, it requires a great deal of time and resources. Those are often in short supply. 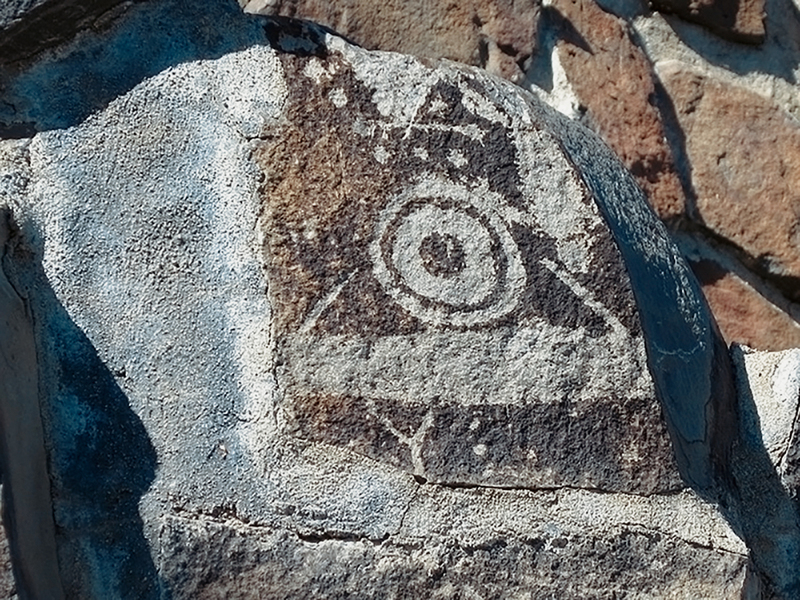 Given the fragile nature of this cultural heritage, Micnhimer and Johnston feel their efforts contribute inestimably to the body of knowledge connected with rock art in the Oregon Territory. Their work is mostly self supported although several small Loring and Loring Grants from the Oregon Archaeological Society have supplemented their efforts. Some of their research has been published by the OAS in Rock Art of the Oregon Country: Honoring the Lorings' Legacy and they have published a number of articles in the prestigious OAS Screenings newsletter. They have shared their findings with the Oregon Archaeological Society and the public at several OAS monthly meetings. Formal study of Oregon rock art began with Luther S. Cressman. 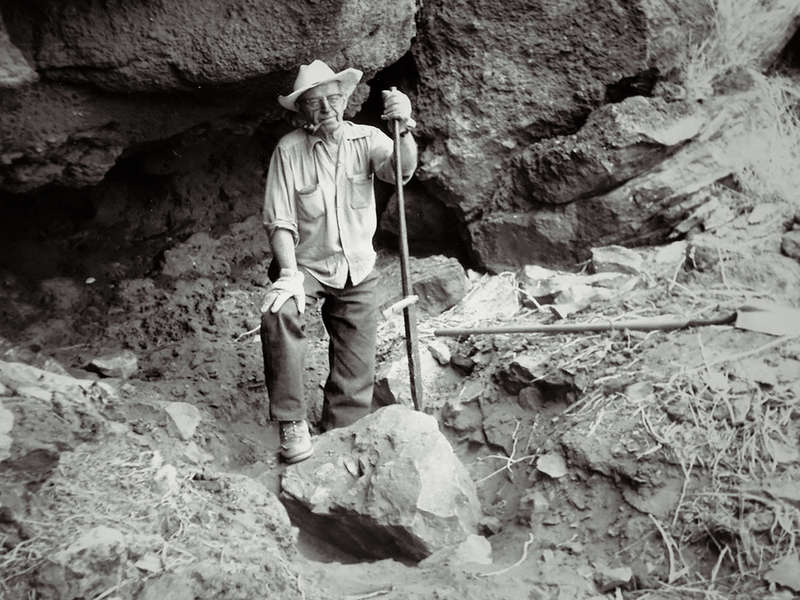 Often referred to as the father of Oregon archaeology, Cressman, while Professor of Anthropology at the University of Oregon, spent three years beginning in 1932, visiting and recording rock art sites. That seminal work was published by the University of Oregon in 1937 with the title Petroglyphs of Oregon. In the book he lists sixty sites and accompanies the site descriptions with drawings of the elements at them. He took photographs of the sites, but publishing more than a few of them in the book was cost prohibitive at the time. He stated optimistically that the sixty sites cover upwards of ninety percent of the sites in the state. In 1982, avocational archaeologists J. Malcolm Loring and his wife, Louise, published a two volume monograph titled Pictographs & Petroglyphs of the Oregon Country. In 1960 they became active in the Oregon Archaeological Society. They served on a committee within that organization whose task it was to survey and record Oregon rock art. In 1963 Malcolm retired from the U.S. Forest Service and by that time the committee number had dwindled to just the two of them. From 1964 through 1967 they traveled, by their own account, at least 43,000 miles discovering, photographing and recording rock art sites. 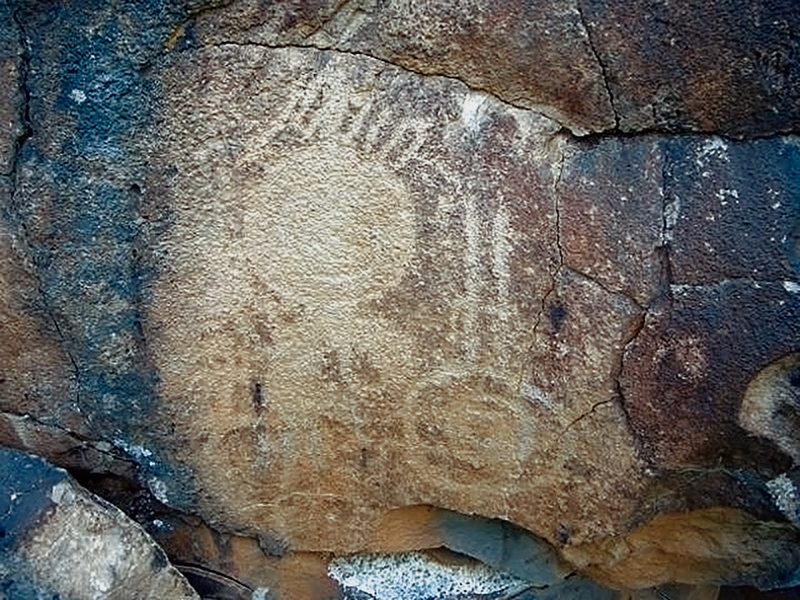 In 1967 and 1968 they recorded petroglyphs along the Columbia River that were flooded by the John Day Dam in 1968. They took color 35mm slides, black and white print film photographs, made hand drawn sketches and made rubbings of much of what they observed. The monograph contains the drawings they made and site descriptions for over three hundred sites. Researchers in Washington and Idaho made similar surveys, although in much smaller areas. Professional and avocational archaeologists continue to record and study sites throughout the area. In 2001, avocational archaeologists D. Russel Micnhimer and LeeAnn Johnston, inspired by copies of the works mentioned above, began visiting rock art sites in Oregon and Washington during summer vacations. They have photographed what they have seen at over one hundred sites as of late 2010. They have discovered and photographed a number of sites that were not included in the Lorings' inventory. Russel has developed www.oregonrockart.com to show case those photographs. New photos are added as sites are visited. LeeAnn has developed twenty (and counting) albums with over three hundred pages containing 5x7 color prints and copies of the Lorings' drawings correlated with the elements in the photos. Their work has been personally funded with small subsidies for five years by Loring and Loring Grants from the Oregon Archaeology Society. They presented accounts of their work to the OAS at meetings in 2005, 2006 and 2008 and have published several articles in that organization's newsletter, Screenings. A record of some of their most important site research was also included in the OAS volume, Rock Art of the Oregon Country Honoring the Lorings's Legacy. They feel their work will help serve as a condition check of Oregon rock art by comparing their records with earlier ones. As well as their work in the field, they continue to study the literature of many other researchers in the field and actively seek information on previously unrecorded sites. 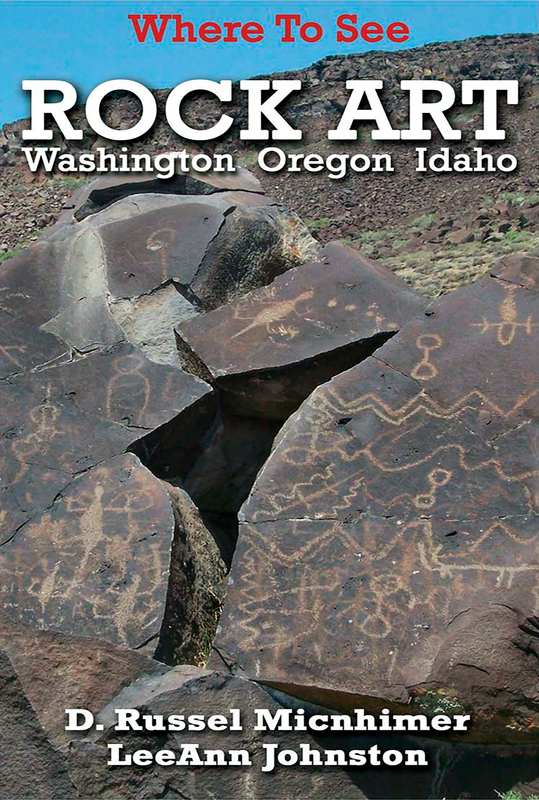 Their recently published Where to See Rock Art in Washington, Oregon & Idaho provides information about rock art in general and directions to sites where rock art can be experienced first hand. They hope their work will contribute to the body of knowledge concerning these valuable and irreplaceable communications from the past.